We’re pleased to announce that IAND is available on the UK government’s Digital Marketplace, as a supplier of cloud software. You can find the IAND profile on G-Cloud 10, here. 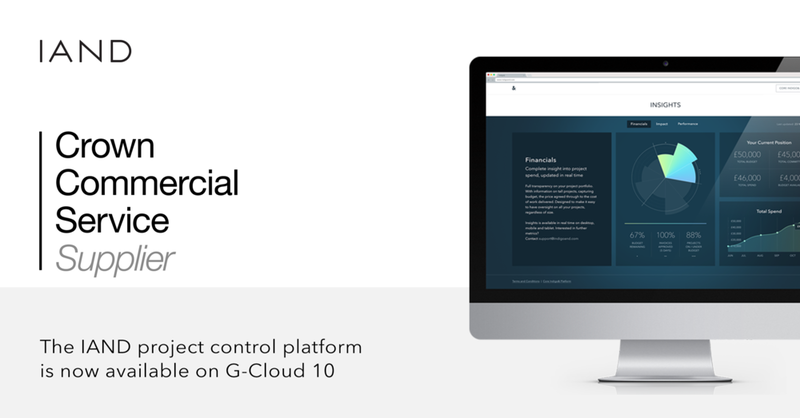 G-Cloud 10 is a Digital Marketplace, letting public sector organisations find people, companies, teams and technology for digital projects including cloud and digital services. You can find out more about G-Cloud 10 on the UK government’s website. This means that government bodies, looking for cloud software, can buy services from IAND. You can find our full profile here.